New X-Line Series. 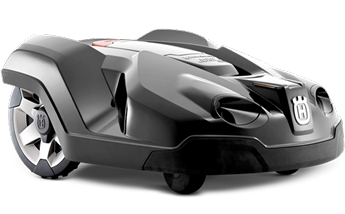 This large size robotic mower with generous inbuilt features. Equipped with GPS navigation for efficient mowing of various, demanding grass areas. Suitable for larger areas up to 3200 m² and can handle steep slopes with an incline of as much as 45% (24.5°). Smart technology adapts the amount of mowing to the lawn’s growth rate, enables spot mowing of a limited area of longer grass and guides the mower through narrow passages. The intuitive menu on the large, user-friendly display allows personal settings for when you’d like the machine to mow.